This resin trophy features a football player running with a football in his arms. A striking image, no one will question what sport your players favor! This 5” trophy will stand out, a perfect award to recognize your players’ effort and successes. 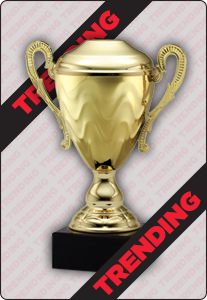 You can even personalize this trophy with a special message.